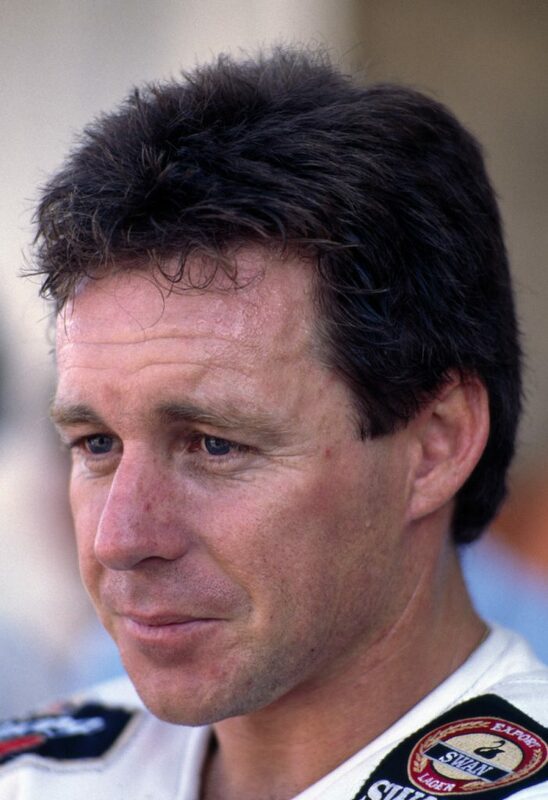 Wayne Gardner has two reasons to remember the 1986 Spanish 500 Grand Prix at Jarama. It was his first Grand Prix victory and the back story is one of his favourite anecdotes. 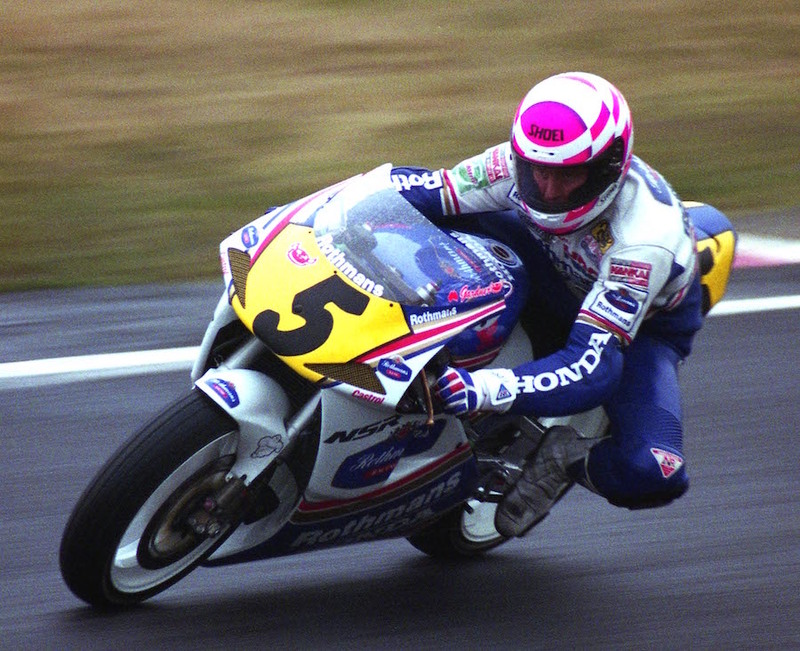 Gardner had been knocking on the door of a race victory through 1985 on a Honda Britain entered factory NS500 triple. 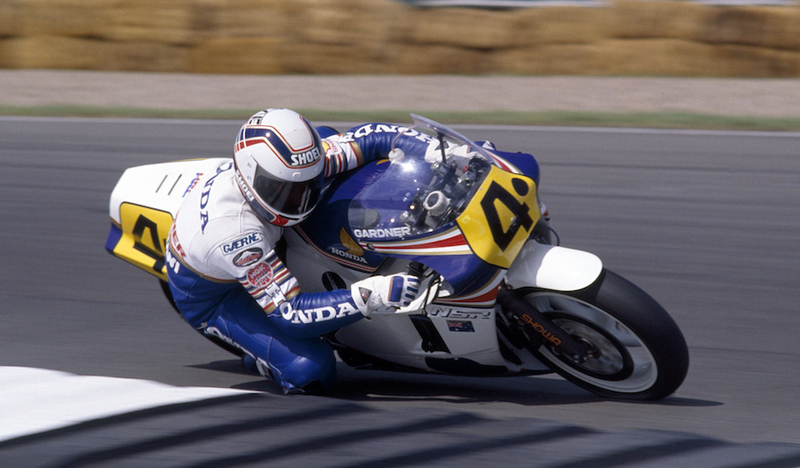 For 1986, Honda elevated him to the full factory team alongside 1985 double champion Freddie Spencer on a NSR500 V4. The Jarama race on 4 May was the first GP of the 1986 season and Gardner’s victory was the first by an Australian in any class for almost seven years*. That gap represents the longest drought for Australian riders since the championships began in 1949. 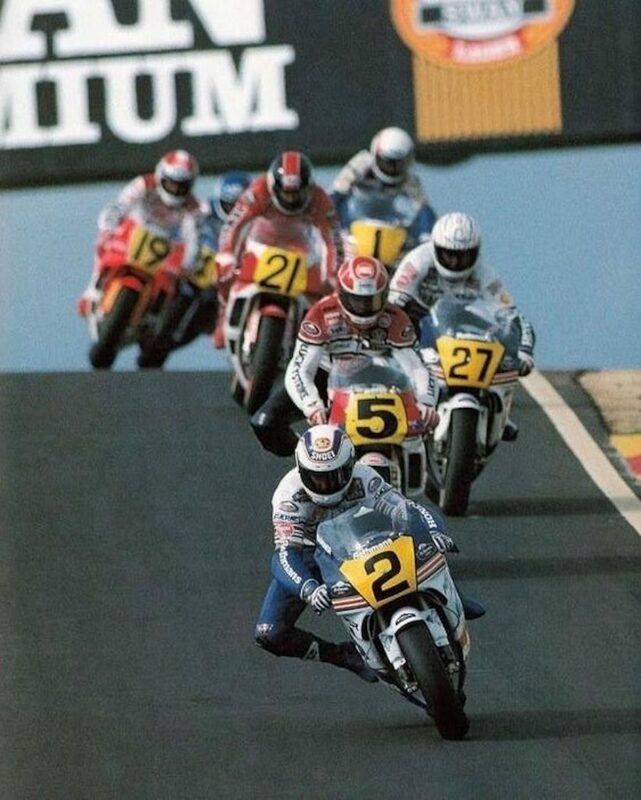 Gardner set fastest lap and won by two seconds from Yamaha factory rider Eddie Lawson, with Randy Mamola and Mike Baldwin third and fourth for the brand-new Kenny Roberts Yamaha 500 team. Spencer in his trademark style set the early pace, but Gardner gave chase. On lap 14 of 37, with the Australian virtually on his tail, Spencer motored into pitlane and retired from the race with severe arm pump. This sensational development marked the turning point of Spencer’s career at age 24, from double champion to not scoring a point in the 1986 championship, missing virtually all the next two seasons and never again finishing on a GP podium. When he failed to appear for the next GP in Italy, it left Gardner with the added pressure of being Honda’s main title hope. Thirty years on, Gardner has a sceptical line on Spencer withdrawing at Jarama and his long absences in 1986. But first we have to talk about the Whiz’s arm and a pill. “I did like the Jarama circuit and always went fast there,” Gardner said. “And I have a story that means I will always remember the race, even if I hadn’t won it. “On the way to Spain we took the ferry from England. We had a few beers and got involved in an arm wrestling competition. By the time we docked at Santander, I realised I pushed it a bit it much and had tennis elbow. “At Jarama I went to the track doctor, who didn’t speak English, and he gave me pills to take three times a day. So I carried on for the weekend, taking these pills and thinking they didn’t taste very good. It was also meeting where (Honda founder) Soichiro Honda was there and watching from the Rothmans bus. “It was my first year as a factory rider and I qualified second to Freddie from memory. Honda held a press conference on race morning in the hospitality unit. One of the journalists asked how my tennis elbow was. I said ‘fine’ and pulled out these tablets. They laughed. ‘Typical Aussie, you’re all upside down… they’re suppositories’. I wondered why they were about two inches long and torpedo shaped! “Anyway, it was my first victory. Without the suppositories I might not have won. It was a special day and extra special because Mr Honda was there. I guess I said ‘oh finally’ when I crossed the line. In the last few laps it was hard to concentrate because I was excited. When Gardner discusses the 500s of his era as a factory rider (1986-92), he notes that a fraction too much throttle would launch a rider skywards. “They were tough times and I sometimes wonder how I got through them, because safety wasn’t as good then and we had no electronics to stop the bike highsiding. 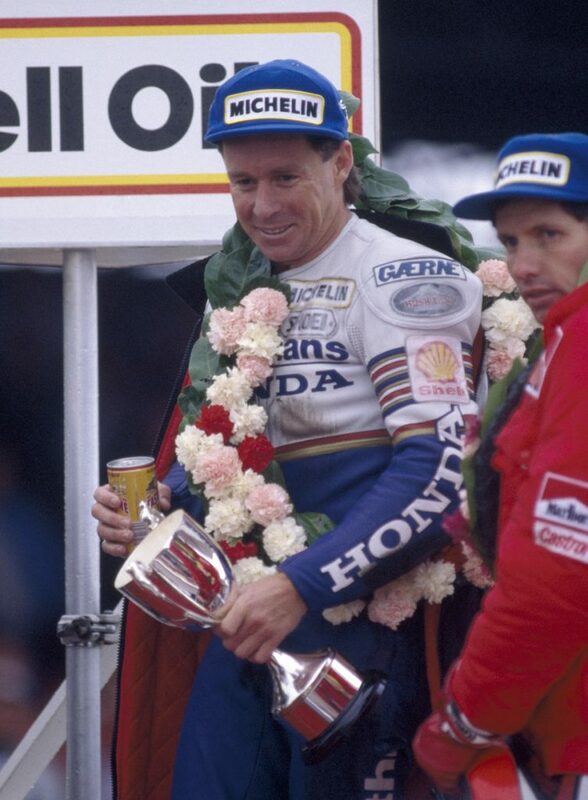 Gardner won twice more in 1986, at Assen and Silverstone, to finish second in the championship. His success had important and lasting flow-on effects. The closing race of the ’86 season from Misano was broadcast live on SBS-TV and the case strengthened for an Australian round of the world championships. Gardner went on to win 18 premier-class GPs. Only Mick Doohan and Casey Stoner have won more.